Yes, it’s politics, but it shouldn’t matter in this instance. President Trump announced last week that he has selected Jerome Powell to replace Janet Yellen as Federal Reserve chair. Powell has served as a Fed governor, a top leadership role within the central bank, since 2012. The selection got the dander of a few market commentators flying. The Federal Reserve, after all, is supposed to be politically independent. Powell, a Republican, is an obvious political choice. We see much ado about nothing. Yes, Yellen is a Democrat, Powell is a Republic. The party affiliation and the stationery head at the Fed will change. But other than that, we expect business as usual. By the accounts we’ve read, Powell is philosophically aligned with Yellen on monetary policy. Powell has supported Yellen's policy of slowly raising interest rates. Trump has expressed his desire to hold rates low to stimulate the economy. Yellen was mostly conciliatory on this front. Powell will likely be conciliatory. The non-reaction of the market to the Powell selection supports our contention of a non-event. The yield on the 10-year U.S. Treasury note barely budged. Quotes on the 30-year fixed-rate mortgage may have fluctuated a few basis points. A prime 30-year conventional loan still holds at 4% on the national level. It’s business as it has been for the past month. It’s also business as usual on expectations for a federal funds rate increase. Traders are betting there’s a 96% chance the Fed will raise the fed funds rate 25 basis points in December, thus lifting the range to 1.25%-to-1.50%. Traders have been betting a high percentage chance for the increase for the past three months. The increase is priced in the market. Powell will likely continue with Yellen’s stated intention to gradually wind down the Federal Reserve’s balance sheet next year. Because this is known, this, too, is priced in the market. We see little impetus for mortgage rates to turn volatile for the remainder of the year. With consumer-price inflation remaining (stubbornly) below the Fed’s desired 2% annual average, quotes on the 30-year loan, in particular, are unlikely to rise much. Though Fed officials say that “economic activity has been rising at a solid rate,” market participants appear to think otherwise. The yield curve has flattened in recent months, with short-term yields rising more than long-term yields. The slope of the yield curve matters because it provides real-time information on Wall Street’s expectations for economic growth. A flattening yield curve suggests that investors expect growth and inflation to remain subdued in the years to come. The flattening yield curve is yet another reason why we expect to see little upward movement in mortgage rates this year. Moderately Important. Rising revolving credit use points to rising consumer confidence. Moderately Important. Refinances have flat-lined, but purchases continue to hold a year-over-year gain. Moderately Important. Consumer optimism continues to grow, which bodes well for the outlook on housing. The National Association of Realtors has never been on board with tax reform. 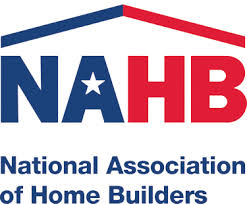 The National Association of Home Builders was on board, but now it’s not. President Trump’s well-documented plan to double the standard deduction has worried many housing-market participants. The NAR has been more worried than most. The worries are not unreasonable: The Tax Policy Center reports that the higher standard deduction would reduce the percentage of Americans using the deduction to 4% from the current 21%. As for the NAHB, it was initially okay with the higher standard deduction… as long as it was offset by a tax credit for buying a home. It appears a tax credit is no longer on the table (if it ever was). If a higher standard deduction prevails, the mortgage-interest tax deduction loses considerable appeal. Owning a home, though, still retains much of its appeal. Market commentators frequently overlook the psychic benefits of homeownership, which far exceed the tax benefit. Pride of ownership and the desire to customize an abode to your liking remain are two such benefits. These are powerful incentives, and they’re not going away. We could see an initial dip in housing activity if the standard deduction doubles and the mortgage-interest tax deduction loses its relative value. It’s not the end of the world, though. Consider that credit-card interest was once tax deductible. It no longer is. That’s hardly dissuaded consumers from incurring a rising tide of credit-card debt to fund their unrelenting demands.